Floor cloth finished and installed…. This entry was posted on May 21, 2014 by tina michaud. It was filed under Uncategorized . This is gorgeous!! Is this at the Stone School Gallery? 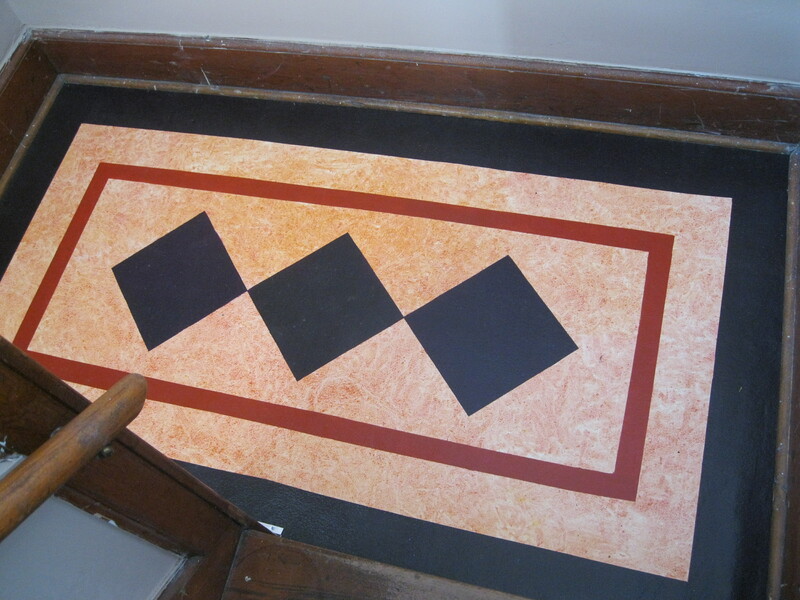 Yes it is on the landing of the two stair cases in the Stone School Gallery in Portage du Fort. Really looks good!